The Georgia State Athletic Commission released the UFC 236 salaries on and some of the top tier talents got paid some major cash. Max Holloway vs. Dustin Poirier for the interim lightweight championship headlined the show. Poirier earned $250,000 while Holloway got $350,000. Kelvin Gastelum vs. Israel Adesanya for the interim middleweight championship served as the co-headliner. 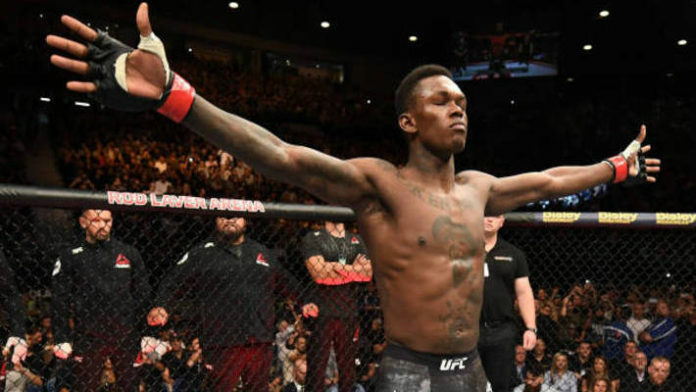 Adesanya earned $350,000 while Gastelum got $150,000. Rounding out the five-bout main card was Eryk Anders vs. Khalil Rountree in a light heavyweight bout, Dwight Grant vs. Alan Jouban in a welterweight bout, and Nikita Krylov vs. Ovince Saint Preux in a light heavyweight bout. The UFC 236 pay-per-view event took place on Saturday, April 13, 2019 at the State Farm Arena in Atlanta, Georgia. The main card aired on pay-per-view at 10 p.m. ET. The preliminary card aired on ESPN at 8 p.m. ET and the UFC’s streaming service, Fight Pass at 6:15 p.m. ET.